After a Nationals defeat in 2016 to an in-form New South Wales, returning Coach Matthew Blomeley, Assistant Coach Esther Latimour and their team are looking to go one better on the Gold Coast in 2017. Filled with a core from last year’s team the 23 & Under side is hoping they are able to build on the foundations already laid and take the extra step of becoming Nationals Champions in 2017. The goaling line up is led by Co-Captain Cameron Allum; “Bambi” has been a previous Australian 23 & Under player and provides an athletic target in the goal circle. Assisting in the circle is sharp-shooter Brayden Pastore. Bray has been known for a number of years for his accurate shot from range in the circle. Rounding out the attacking circle is Josh Smith. The unfortunate recipient of an ACL tear resulting in him being sidelined for the 2016 championships, he comes as an unknown quantity on-court to many opposition teams. Returning to the midcourt again this year is Brandon D’Monte, known for his ability to turn a game with well timed intercepts whilst also being a steady attacker, “B” has been a staple of the middies for a number of years. Used as a utility and impact player in 2016, the self-appointed “hybrid” Jake Dambrauskas is determined to go one better in this division after successful stints previously in Victorian and Australian 19 & Under teams. A stand out tournament with the Australian 20 & Under team last year, Adam Franz has made the move to the next level with skill and determination. Josh Burns also makes the jump from 20s this year after a number of Australian 20 & Under appearances. Now focussing as a midcourt, his terrific netball brain will be hard to match up on. Jake Noonan makes his debut for Victoria this year, with the ability to play through the middle and in the circle, “Noons” will be out to prove why he has been selected on his first outing. The defensive circle this year sees only Cameron Martin return from last year’s circle. Co-captaining this year after a successful run in the Australian 23 & Under team, Cam will be looking to lead by example and provide a strong and experienced presence on court. Backing up Cam this year is former 23 Development player Jake McSwain, this physical but clean defender had an amazing 2016 and is taking the next step in his absolute stride this year. Not to be forgotten, Luke Marko Rawlings is also pushing for a starting defensive position. After shutting down some of New Zealand’s best goalers in their Nationals last year, Luke is determined to show this ability against Australia’s finest 23 & Under goalers this year. Victoria will now go into the 2017 Men’s National Netball Championship with a new a re-jigged line up. Injuries and player changes have seen the 2016 Champions battle pre-championship as they look to repeat their thrilling win from last year. Christina Puopolo will once again look to motivate and lead this talented group as we introduce our new look line up. Holding off on his retirement and returning to retain the national title is 2016 Victoria and Australian Sonix Captain Will Jamison. Capped off by winning player of the tournament for Australia in October, his physical nature, ground work and aerial ability make him the most feared defender in the country. Known for playing himself into form during a championship, Will is still getting better year upon year. Returning again is Australian debutante and young gun Tim Malmo. After establishing himself as an impact player in 2016, the 22 year old’s hands over pressure and aerial flair will need to gain consistency if he’s to take the next step and consolidate a spot in the starting seven. Since joining the top team 2 years ago, Tim is forever working on his leap and now is building a trusty partnership with Jamison ahead of the championship in 2017. The departure of aerial keeper Merrow Clough to the ADF has paved the way for talented 2016 junior defender and 23 and under Aussie representative Alistair Punshon to join the defensive duo. Manned with the task of stopping the tallest goalers in the country, Al will certainly bring his giant leap to the court as he looks to pull turnover ball out of the air on a regular basis. Late injuries to Ely Harrison (back) and current Under 23 Australian Captain Riley Richardson (dislocated ankle) had left a talented midcourt a little depleted. Guy Keane adds class and experience to this Victorian team. 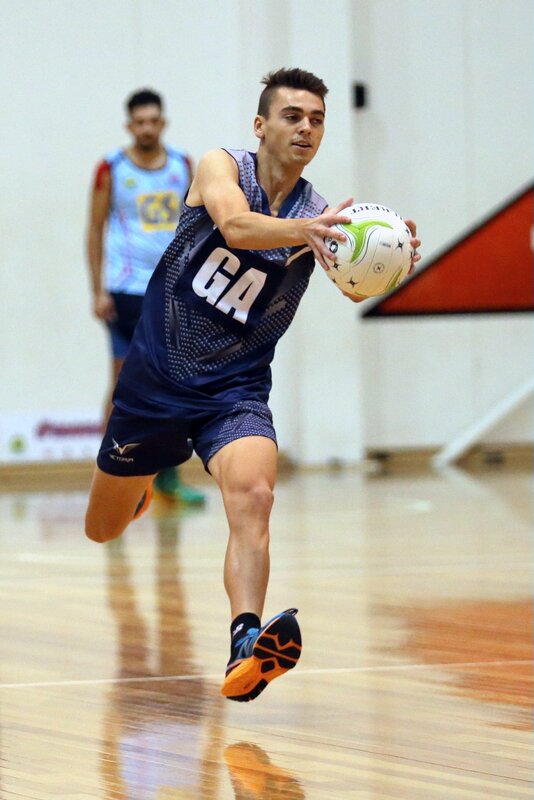 His slick movement and silky skills make him a crowd favorite in Men’s netball circles. Whilst Guy is amazing in attack, his experience on court and defensive pressure is vital to Victoria turning over ball on a regular basis. Continuing the experience in the midcourt is Andrew Simons, who has gone from strength to strength over the past 2 years. With over 10 year experience, this front cut specialist has an uncanny knack for finding the circle edge and delivering quality ball to his goal circle. After an injury riddled 2016 campaign former Australian under 23 captain James Robertson will be eager to make his return. After displaying some great skills in 2015, 2016 didn’t go to plan after sustaining an ankle injury and then fracturing his elbow “Robbo” is known for his safe hands and his consistency could be valuable to the Victorian Line up. Tory Allen also joins the team after capturing the Under 23’s title for NSW in 2016. 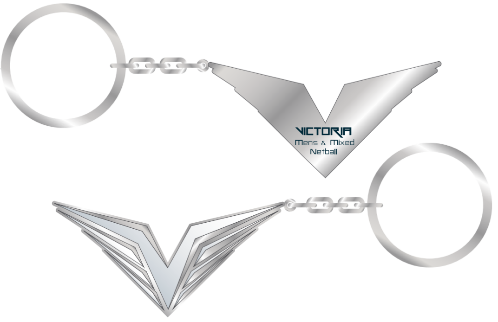 A move over last spring to Victoria has seen Tory join the squad and make the most of some unfortunate injuries. With a strong defensive knack and speed on court, Tory’s flair could be very useful for the 2017 crusade. Rewarded for his play at the 2016 national championship, Tim Walker made his debut for Australia travelling to New Zealand with the Sonix in October. A tall Goal Shooter, Tim fits in to this front end seamlessly as a focal point under the post and will be looking to impose himself again this year. Making a return from breaking his foot in October is Brodie Roberts. A talent in GA, Brodie has shown his skill for the past two years and at 20 will be a force of the future. After working hard on his court craft, an amazing split and speed to burn, Brodie is a star in the making and this could be his big breakout year. Looking to shake a troublesome knee injury Daniel Cooke will return full of energy in 2017. 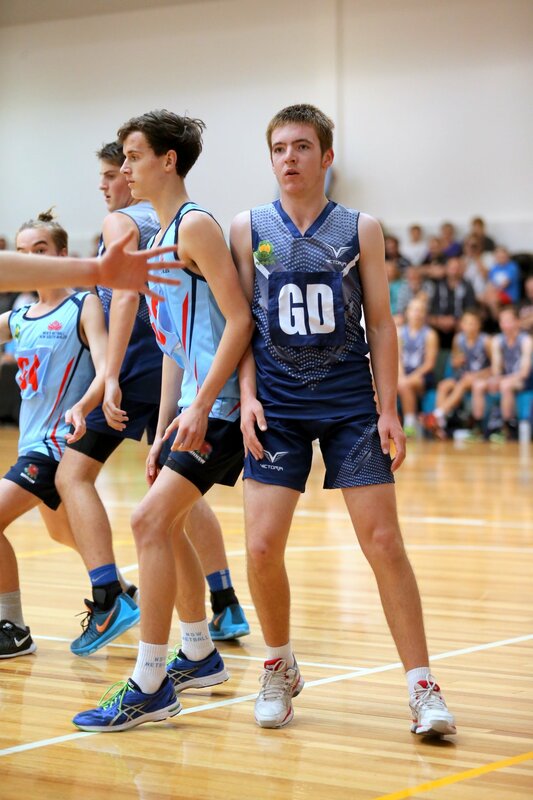 Known for his “netball IQ”, vision to post and shooting under pressure he’ll be out to build the front end connections and help press for another nationals win. Finally debuting in the Open team is goaler Corey Jackson. After 5 Years in the All Australian reserve team and a stellar Victorian M-League season where he helped Melbourne City to claim the title, Corey’s ability to find ball, score goals at long range and connection with Cooke and Simons gives Christina an alternate option in the goal circle. The question remains, can this team gel together and reclaim the national victory they experienced last year. For more information on our Men’s Open team and our squad keep watching our space as we head to the 2017 national championships. In the lead up to the 2017 Nationals AMMNA has released the 3 representative teams heading to New Zealand as part of its development for the future of our sport. 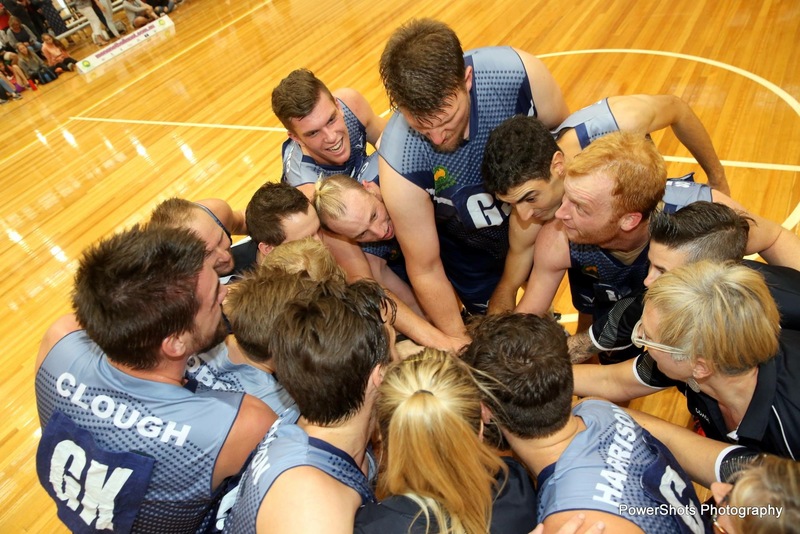 The nomination form for the Development Tours to NZ Championships are now available online on the Australian Mens & Mixed Netball site (www.mensnetballaust.com.au).